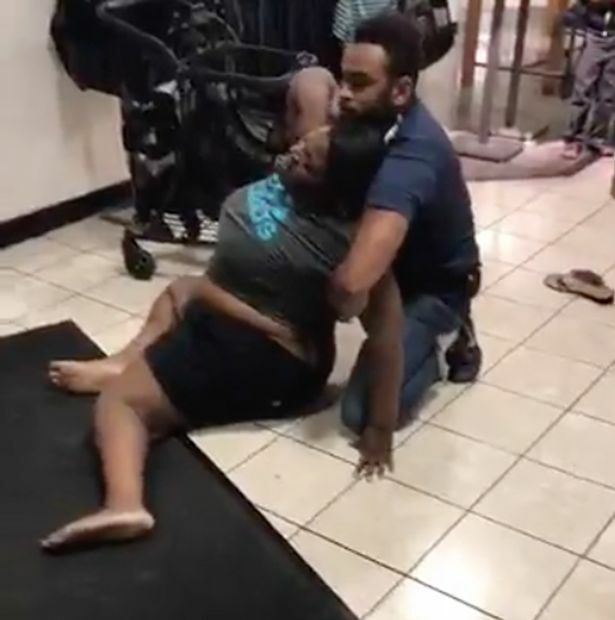 A clothes shop worker pinned an alleged thief to the ground even after she claimed she is pregnant. At one point the worker, apparently a guard at American chain JCPenney, appeared to choke the woman and was shouted at by shoppers who stopped to watch the incident. The woman claimed that she did not run when confronted by the guard because she is three months pregnant. 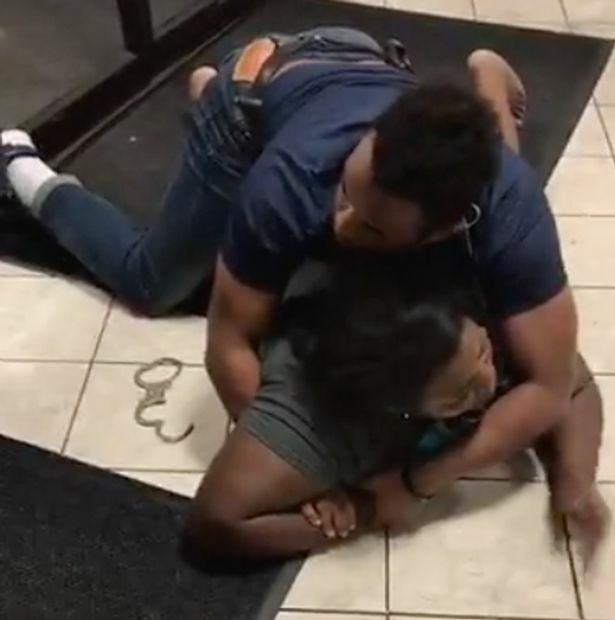 The pair continued to wrestle as the woman tried to sit up, before other shop staff arrived to defuse the confrontation. The incident happened at the JCPenney shop in Brandon, Florida, and the woman, Richards Tiz Morris, aged 29, was later arrested and charged with theft and resisting detention.